Ogham script is a medieval Irish letter system dating back to the 4th century AD. It's theorized that Ogham was created as a local alternative to Latin, allowing local, native Irish to communicate via text with each other, without being understood by the Roman Britains, who posed a threat of invasion to the Irish. The letters of the Ogham script are all named after various trees and shrubs that could be found locally in Ireland. The characters comprise a series of lines and notches that are scored across a long stem-line often on standing stones. 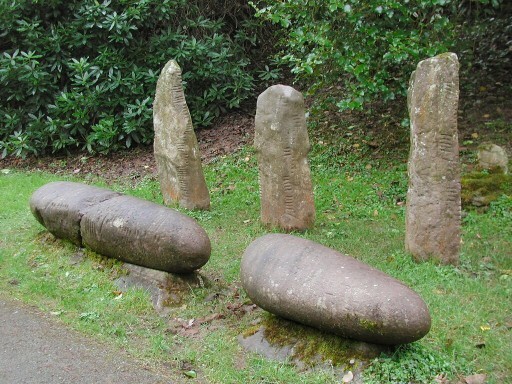 Inscriptions in Ogham script on giant stones and trees can be found throughout Ireland and Wales. Our selection of Celtic jewelry features many pieces that carry Ogham inscriptions.